Yes, we are BACK! 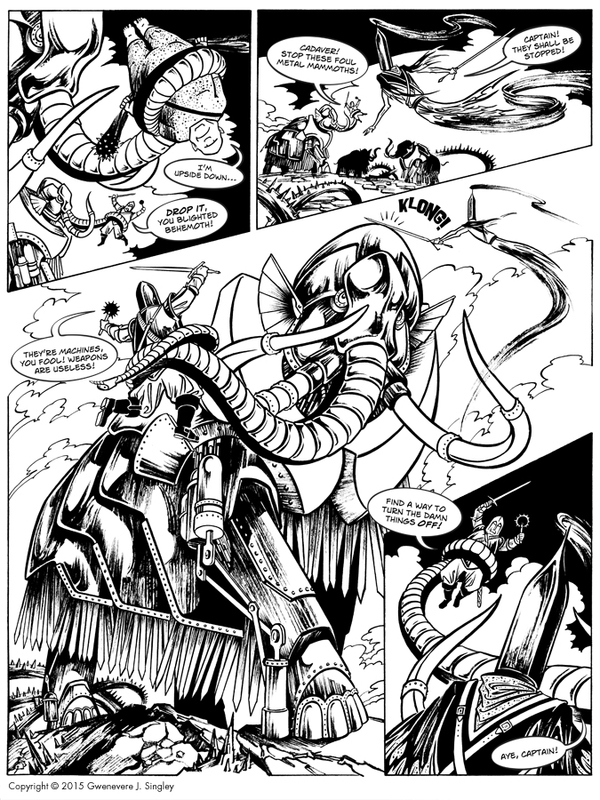 Back to the comic, and back to the mammoths! My apologies for the long hiatus, this has been a crazy crazy year of back-to-back conventions, workshops, and deadlines. This was my first year of really doing conventions, too, so of course I had NO CLUE how to do any of this or how to manage my time while doing it, and a few things slipped (like this comic.) Now that I’m getting the hang of things, we can hopefully stay on track. During the hiatus, I’ve also been trying to build up at least a small buffer to make this comic more manageable, because it was getting to be a major scramble keeping up with updates while juggling everything else. Look out for weekly updates now on Fridays!